B0890. Michael Smith & Frank Andrews. 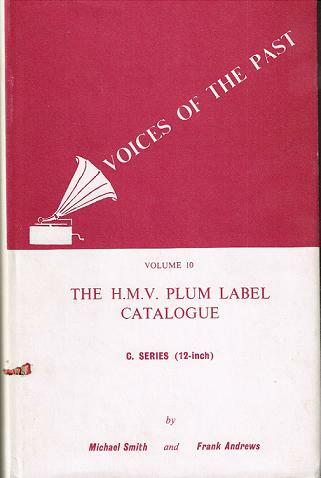 Voices of the Past, Vol.X - The H.M.V. 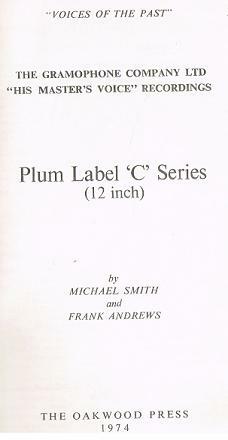 Plum Label ‘C’ Series (12 inch). 274pp. Index; DJ. Lingfield, England, Oakwood Press, 1974. 274pp. Index; DJ in mylar.